Discover what the Early Christians believed in our free booklets and on our Online Library. The Truth is finally available. 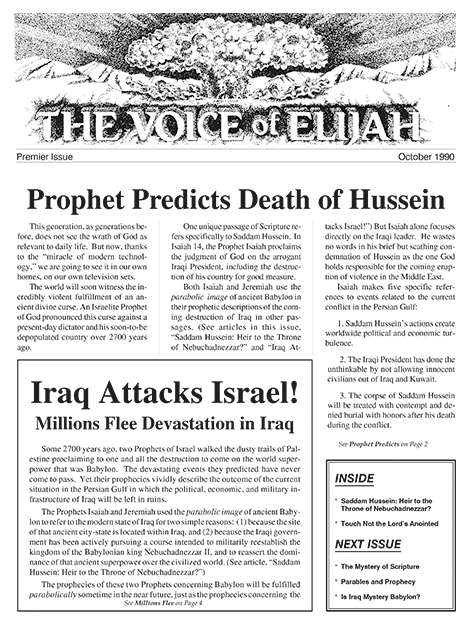 The Voice of Elijah® is an outreach ministry of Voice of Elijah, Inc.—a nonprofit Christian organization founded in 1988 for the purpose of making the biblical research of The Elijah Project available to Christians who seek greater insight into the meaning and significance of the Greek and Hebrew Scriptures that comprise the Christian Bible. We are dedicated to educating born-again Believers who seek to know the One True God—Father, Son, and Holy Spirit—through a greater knowledge of the Scriptures, The Apostolic Teaching, and Early Christian beliefs concerning the End Times. Check out our six free booklets that you can request as hard copies. Or read any booklet of your choice online now. Check out our free booklets. Read Larry Dee Harper’s responses to commonly asked questions and gain a bit of insight into the Mystery of the Word of God. Here you can browse through all of our free reading materials. If you’re hungry for the Truth, you have a feast awaiting you. Here is a complete list of all the newsletters we have published since 1990 up to our current issue. Read or acquire them now. A coalition of nations will invade Iraq. Refugees will flee Iraq into neighboring countries. The Iraqi army will be decimated. The destruction of Iraq will be unimaginable. Iraq will be forced to relinquish control of Kuwait. 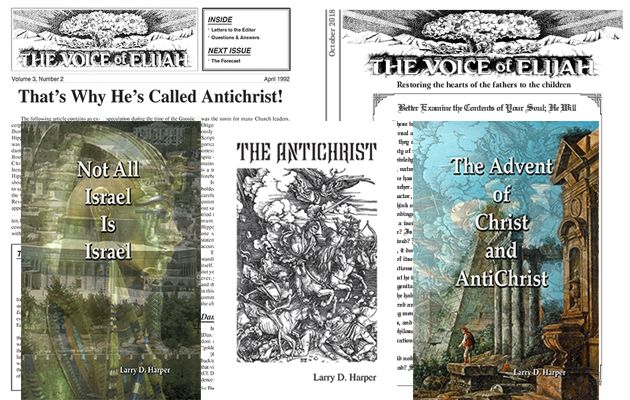 Our mission is preparing True Believers for the appearance of the Antichrist. If you have benefited from the information we provide, we would sincerely appreciate your contribution.